You can entertain yourself and your family, friends and guests in many ways – listening to good music, swim in the pool, watch a nice movie, play some games in your console or you can do the best from both worlds – indoor and outdoor fun by playing some pool in the backyard. Actually, there are a lot of pool tables that are specially made to be placed outdoors to give you the best experience and most fun. But if you want only to have fun and stay entertained with your friends and family, you might not have an idea what outdoor pool table to pick. After all, there are a lot of products on the market and every manufacturer advertise its own product as the best one. But as you can expect, some tables are more durable than others, some can be damages a lot faster from the weather because of the lowest quality materials that were used and etc. 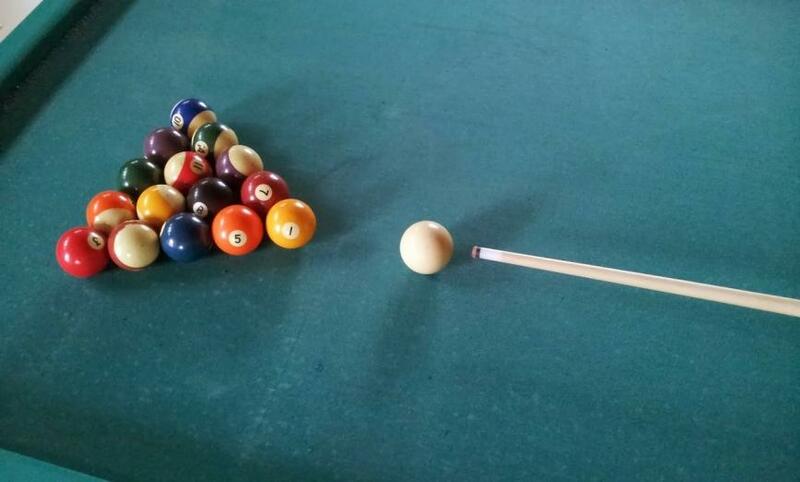 They usually can have some accessories but you still might want to go one step ahead by getting yourself some of the best pool cues. So, we are going to make you sure that you picked the best pool table by presenting to you some of the best outdoor pool tables as well as some of the more classic ones that can be used outside too. This pool table from Playcraft is a great mix of the best indoors and outdoors experiences. The size is 99 by 55 by 31 inches. It is fully weatherproof, so you can play pool every single time you want to – under the summer sun, in the rain or even in the cold of the winter, without any worries about the table. The frame is made from high quality aluminum, so the overall product is sturdy enough to last you for years. 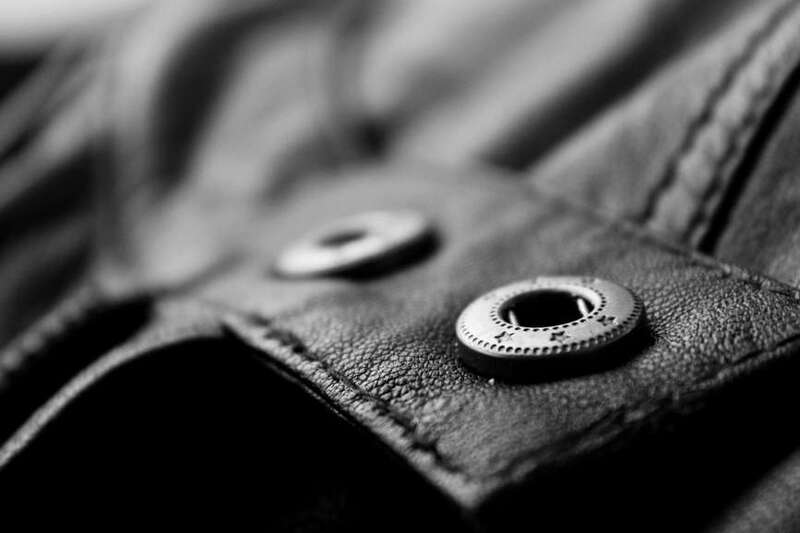 It has an antirust coat that will keep any moisture and rust away from the metal parts. The table is very stable but make sure you placed it on even surface for the best experience. Overall the table is one of the best you can find. This is another great pool table that will let you enjoy your games in the open. It is fully foldable which is great if you need to save some space or just want to storage it in the winter. In the package you will get also a two pool cues, triangle rack, brush for the table and even two pieces of chalk and a bag made from polyester. The size of this table is 76 by 43.25 by 32 inches. The playing surface is made from durable blue wool. The whole table is designed with one thought – to be very portable and not to take a lot of space. This outdoor pool table comes with an extra – it can become a table for tennis. But mainly it is a pool table, so you can expect that the design is oriented around this point. The playing surface is 7-feet, which is enough for comfortable playing, no matter if you prefer pool or table tennis. This table can even be fitted indoors in a smaller play rooms. It is very versatile and has great design. The price is affordable. In the package you will get all the needed accessories to play pool and table tennis. Another outdoor pool table that has everything in it that someone might need from a product like that. The feet are made from carved wood and they are really big with claws. The surface is felt and overall the table is great in terms of quality. The pockets are made from fabric and retrieving the balls for a new game is easy and fast. The finish is very rich, wood-toned and it will bring you some nostalgia because it looks very classic. 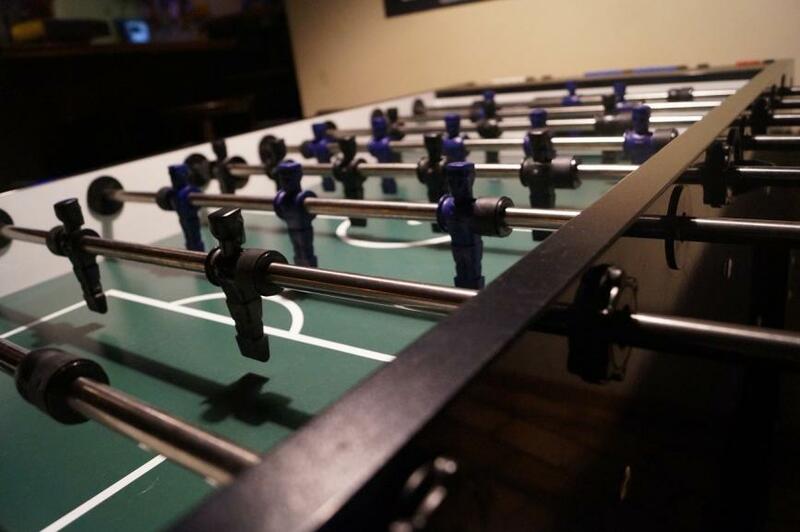 This table comes in a package with cues, rack, balls – all you need is to find more players and start having fun. This table is very versatile and long just 6,5-feet. It has disc-style legs with levelers that will allow you to adjust the table straight on every surface, even the most uneven one. You can adjust the height of every single leg to achieve great comfort while playing. 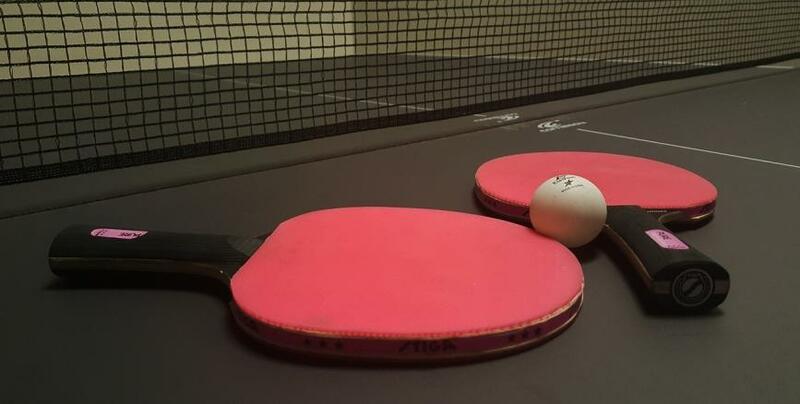 The table has rubber cushions on the edges for the best ball rebound. The pockets are integrated with rails and return the balls to the other end of the table and you can get them easily. In the package you will get two cues, full set of balls, triangle, brush for the playing surface and even some chalk. This pool table is the perfect choice for the kids and it is very easy to set-up. You just need to attach the legs to the playing surface and you are good to go. The size of the table is 40 by 20 by 9 inches, so it is pretty compact. The exterior is nice and good-looking made from cherry laminate. The functionality and the performance of the table is very good. It is fully made from MDF which is wooden material. In the package you will receive set of balls, cues, brush and a cue ball.